A combination of the affordability of purchasing bulk bubble mailers and their outstanding attributes make it a packaging solution that suits a wide range of personal and individual use. When it comes to packaging the oldest trick in the book is to always go for a solution that fits the product one intends to ship or store while also ensuring its protection. This might seem like the most straightforward manual for an aspect which businesses give lots of consideration to but not when it gets to the reality of the matter. A glance through the options available in the market reveals hundreds of products which all promise better levels of performance and can easily leave one lost for choice. It takes knowledge of what differentiates these options to settle on a solution that will perfectly suit the specifications required. Enhanced safety of products packaged. The constant headache of how to ship fragile items is resolved by bubble mailers thanks to the protective inner lining. This lining creates an excellent interior cushioning and a waterproof layer which allows items that are packaged in the shipping envelope withstand all external pressures. The surface protection is highly effective and resolves the headache of making deliveries which require to be handled with extra care. The most popular items that are shipped with bubble mailers include jewelry, small-sized electronics or electronic parts, books, CDs & DVDs, and plagues. The durability of the shipping envelope. Quality bubble wrappers never tear easily or get worn out due to the friction that typically occurs when shipping items in bulk. A contributing factor is the double strength of the packaging product which arises from the kraft paper which is reinforced with a bubble wrap. Generally, kraft is preferred as the material for making shipping envelopes as it has better resistance against external pressures due to its strength. As such when it is masterly made with an extra layer of an equally strong material, it gets to have more resistance and can easily withstand the test of time. It is a lightweight shipping product. Kraft paper is exceptionally light and has been the propelling factor why it is used for the shipping of a huge percentage of small-sized products. Bubble wraps, on the other hand, are equally light as they are thin layers of plastic which are designed to hold air within the constructed pockets. When these two items are combined to make bubble mailers, they do not affect the weight of the shipping envelope which is crucial when making shipments as all items are weighed. Ease of use. Bubble mailers have a construction which is 100% similar to standardized envelopes, and all one has to do is place a product in them, seal them, and they are ready for shipments. 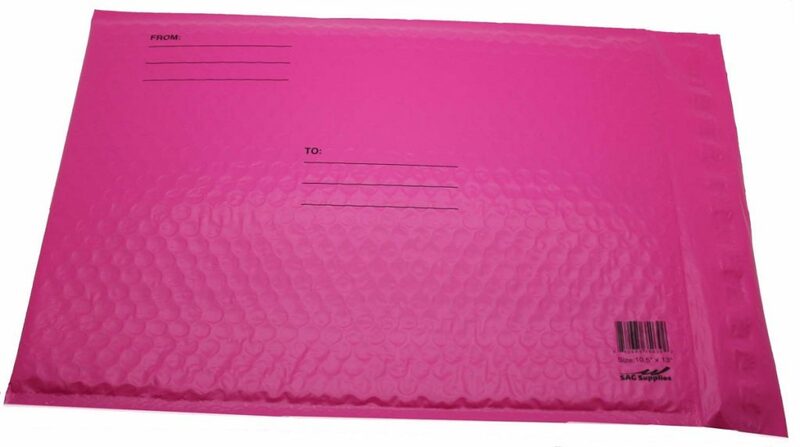 To make work simpler for users, most bubble mailers made to quality standards come with a self-adhesive strip which makes sealing of the envelopes much easier. This is primarily because all it takes is pulling back the self-adhesive strip and the bags can be closed easily and more efficiently. Businesses that require bulk bubble mailers can easily make their orders online and have these super-efficient packaging products delivered to them in the shortest period. The best part about making purchases from leading stores is the shipping envelopes are availed in different sizes to suit the interests of their clients. What this means is that one can easily have a tailored option which provides a perfect match to the products they intend to ship. Another advantage that comes with making bulk purchases is that one gets to receive top value for money which is crucial for every business or individual. Shipping of fragile items need not be complicated, and with bubble mailers, all loopholes are sealed, and there can be the confidence of making deliveries without having lots of worries.